On This Day 1917: Canada Day celebrated in Shoreham! July 1st marks the national day of Canada, a day celebrating the enactment of the British North America Act 1867, which united three colonies into a single country called Canada within the British Empire. This just happened to be occurring when a large contingent of Canadians were encamped at Shoreham. 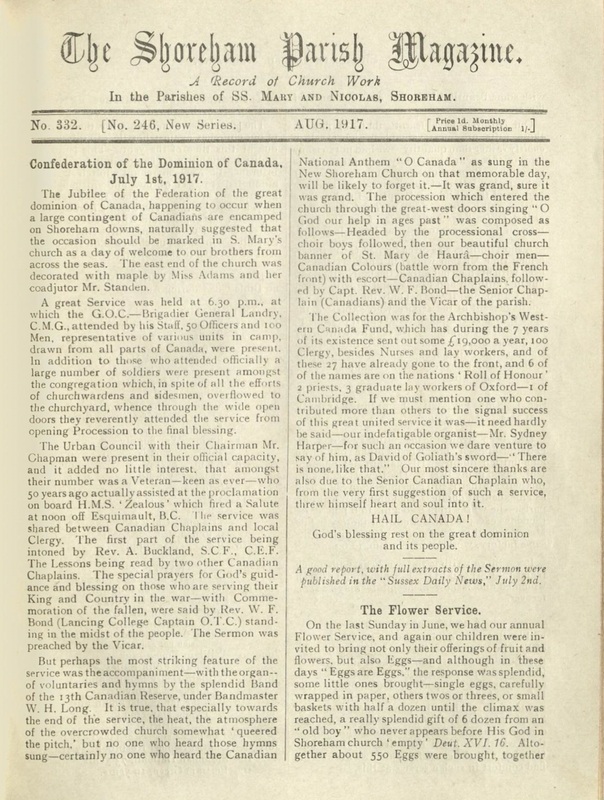 Therefore, it was naturally suggested that the occasion should be celebrated in St. Mary’s Church, which would be decorated with maple as a way to welcome the Canadian soldiers and celebrate the day. The great service was held at 6:30pm, and was well attended with 50 officers and 100 men representing various units in the camp from all parts of Canada. In addition to those who attended officially the congregation overflowed with more soldiers. The opening procession showed off the beautiful St Mary de Haura Church banner and the Canadian Colours. The service was accompanied with music played by the splendid band of the Canadian 13th Reserve and delightful hymns. The day would not have been complete without a memorable rendition of the Canadian National Anthem “O Canada” that was sung by a choir of men and boys. 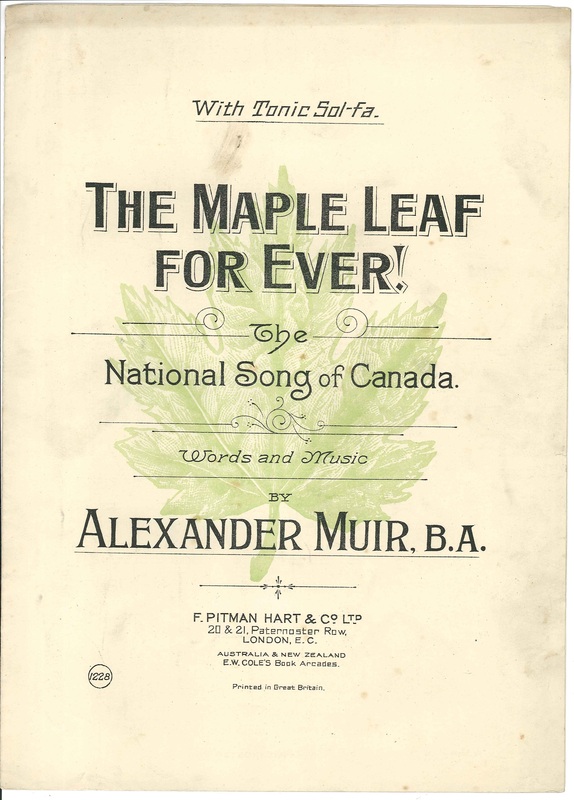 Cover of early 20th century sheet music. Reproduced courtesy of West Sussex Records Office and by kind permission of the Parish of St Mary de Haura New Shoreham.